We got a new puppy! Yay! He’s so fun and cute, but boy, puppies sure need a lot of stuff! 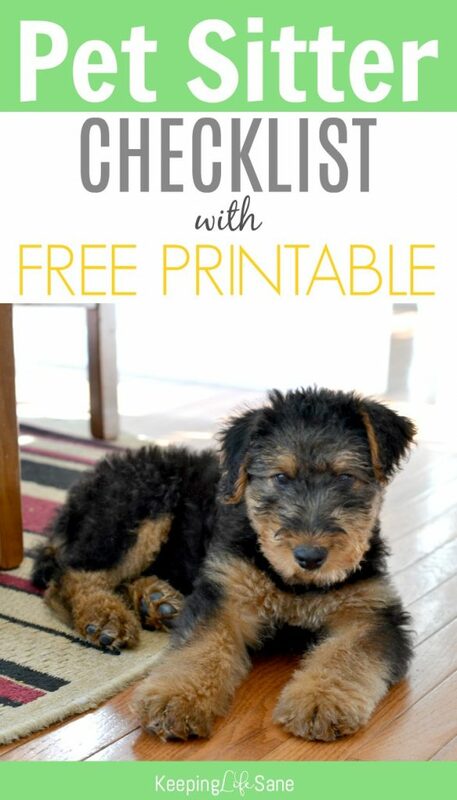 I wish I had a new puppy checklist before we got him. We’ve had a puppy before, but you forget everything they need. I’ve made at least three trips to the store in the past four days! PLEASE learn from my mistake. We spent so much money on all this stuff because we didn’t plan ahead. We didn’t get to shop around for the best price or something cute that I would rather have. Isn’t he the cutest thing EVER? 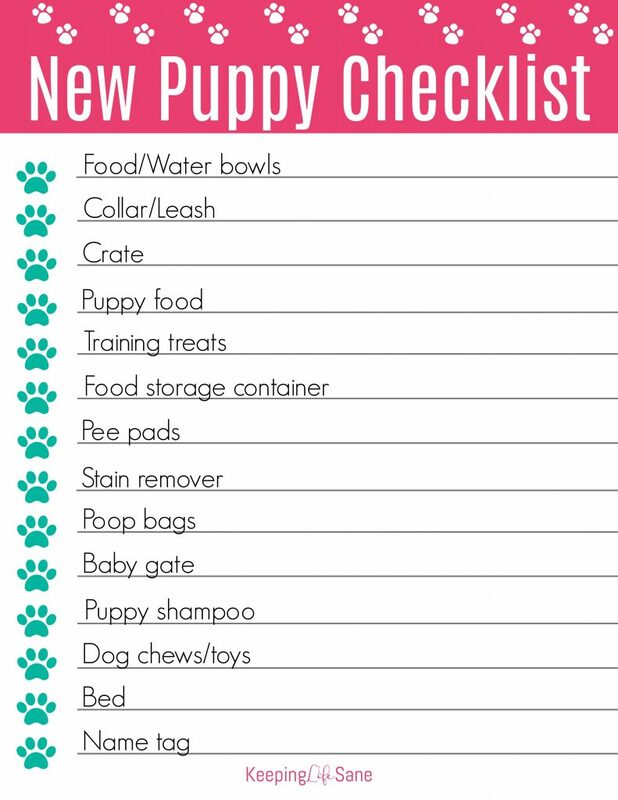 Everything you’ll need when you bring home your new puppy. collar– Puppies don’t stay in their collars long because they grow so fast. This is an inexpensive one since you’ll probably buying a bigger one soon. leash– Even if you are already have a dog, you’ll need another one of these! puppy food– We got this kind. Not sure if we’ll stick with it , but that’s what were are using for now. pee pads– Hint: You’ll use more than you think! name tag– These are a great price at Amazon- way cheaper than pet stores! dog chews– Our pup loves these! It’s really easy to print these out. 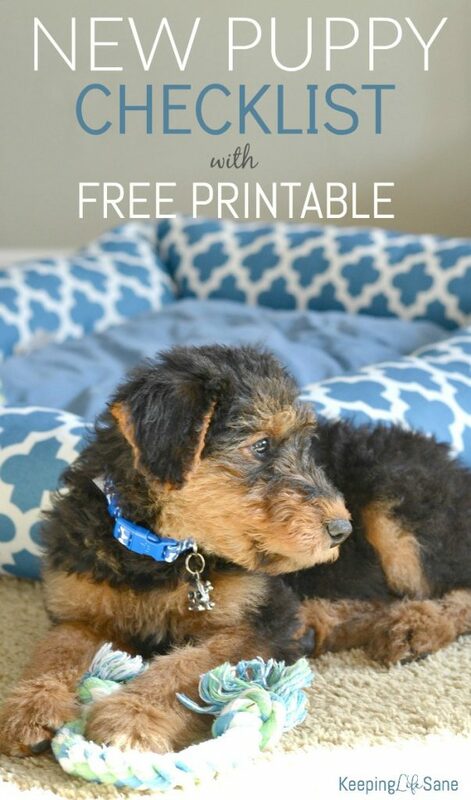 I store all my printables on dropbox because the files are so large. I can give you a higher quality image without slowing down my site. All you need to do it click here or on the image below and it will take you straight there. Once you get there, then you can download to your computer, print it out, or both. You don’t need an account or anything like that. You may also like this pet post too!